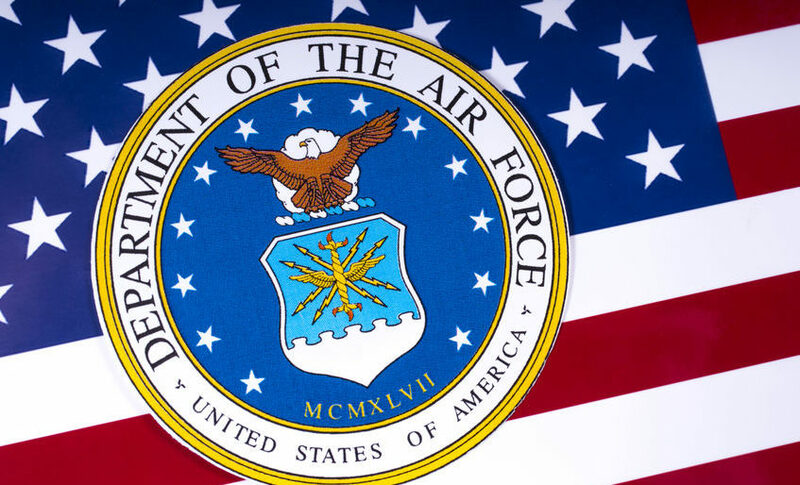 The story of how the U.S. Air Force found a fifty-cent fix for its broken $1,200+ coffee cups is one for the “you’ve got to be kidding me” section in the volumes of examples of how the federal government manages to waste such massive amounts of money each year. That story begins in the summer of 2018 when Victoria Leoni of the Air Force Times broke the story that the Air Force had spent $32,000 to replace 25 coffee cups whose handles had broken. The cups, which are designed to prevent coffee from leaking when the aircraft in which they fly are actively maneuvered, have insulated metal bodies and “flip-up” lids. They are designed to plug into an electrical fixture during flight, when an internal heating element maintains the coffee’s temperature on extended flights, which can last for up to 18 hours. But then, there’s that breakable handle on the coffee cups, as can be seen in the following picture from the Air Force. In the picture, the top of the cup pointing to the right-hand side, toward the airman who is holding it. That’s an important clue for identifying what went wrong in its design, which industrial designer Rain Noe picked up on in evaluating the design of the Air Force’s very expensive flight coffee mug. What’s led to the news reports is that crew members will occasionally drop the mugs, which is understandable. And when they drop them, that right angle on the bottom of the handle hits the ground and the handle breaks. The manufacturer–who is, frustratingly, unnamed–does not offer replacement handles. The mug is no good without the handle so the Air Force is Air Forced to buy an entirely new mug, price $1,220, each time one breaks. Folks, take a close look at the object and something will become obvious: The handles have been attached upside down. Not only that, it appears these were attached upside down on purpose. Noe continues to explain that the plastic handle is very likely an off-the-shelf part that was deliberately flipped upside-down when attached to the mug to provide clearance space for personnel operating the cup’s flip-up lid when drinking from it. 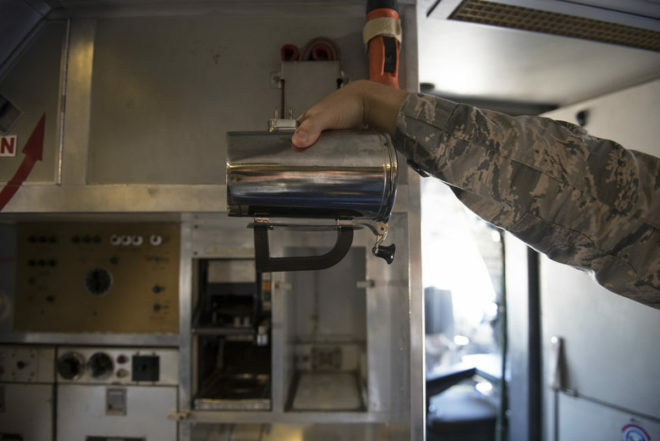 That’s a very cheap solution for fixing the Air Force’s broken $1,200+ coffee cups, in that it spares the service from having to buy replacement mugs. The real solution, however, will come when the Air Force develops a more cost effective flight coffee mug to replace today’s $1,200+ version in the first place. Or perhaps trains its personnel to drink chilled coffee for their in-flight caffeine boost instead.